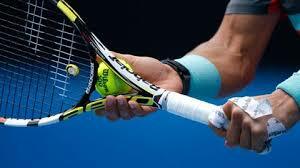 Playing tennis with the correct grip size is crucial to performance, and the prevention of injury. 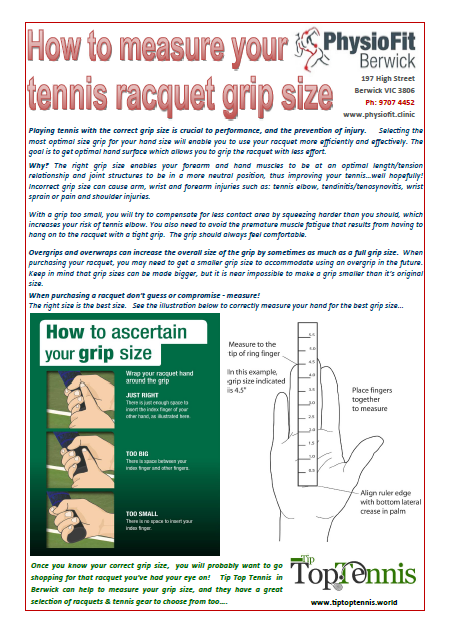 Selecting the most optimal size grip for your hand size will enable you to use your racquet more efficiently and effectively. The goal is to get optimal hand surface which allows you to grip the racquet with less effort. Why? The right grip size enables your forearm and hand muscles to be at an optimal length/tension relationship and joint structures to be in a more neutral position, thus improving your tennis…well hopefully! Incorrect grip size can cause arm, wrist and forearm injuries such as: tennis elbow, tendinitis/tenosynovitis, wrist sprain or pain and shoulder injuries. With a grip too small, you will try to compensate for less contact area by squeezing harder than you should, which increases your risk of tennis elbow. You also need to avoid the premature muscle fatigue that results from having to hang on to the racquet with a tight grip. The grip should always feel comfortable. Overgrips and overwraps can increase the overall size of the grip by sometimes as much as a full grip size. 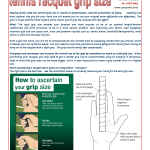 When purchasing your racquet, you may need to get a smaller grip size to accommodate using an overgrip in the future. Keep in mind that grip sizes can be made bigger, but it is near impossible to make a grip smaller than it’s original size. When purchasing a racquet don’t guess or compromise – measure!